Being a sunny country with beautiful blue seas, it comes as no surprise to discover that Malta also has a fantastic selection of beaches, both sandy and rocky. Shared through the islands of Malta, Gozo and Comino, you are certainly aren’t short of options when searching for the best beach in Malta. Below are 5 of our favourites from across this beautiful archipelago, we’d love to hear what your favourites are in the comments! This peach of a beach is far from the beaten tourist track, tucked away near Selmum and requiring a fair bit of effort to reach in the first place! Not for the faint hearted, this place requires you to scale a small cliff face to gain access to its hidden beauty, but once you arrive you’ll forget all that in a flash. With incredible snorkelling, fantastic natural surroundings and entirely unspoilt this is a true diamond. If you like escaping the tourist crowds, this bodacious beach will be right up your street. Gnejna Bay is a beautiful little beach not far from Mgarr which is popular amongst the locals in Malta rather than tourists. If you like a quieter beach where you can swim in peace and lie back and read a book or take in the views without being disturbed then this place is just for you. Mgarr is also a pretty little town where you can enjoy a break for lunch or a drink if you need a break from the sun. Compared to the busy Golden Bay beach up the road, this little gem is a real find. 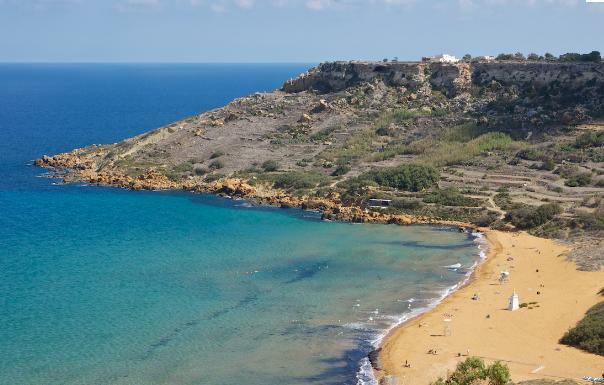 Characterised by its red sands (which is the literal translation from Maltese), Ramla Bay is one of the most popular beaches in Gozo and attracts many tourists and locals alike. It is beautifully unspoilt and oozes natural beauty, with large rocks surrounding it and flowing sand dunes backed by shallow but crystal clear waters. Watersports lovers will be well pleased here, as will almost any other person who enjoys a beautiful beach escape. Close to Ghadira Bay, but less crowded, Paradise Bay is another of Malta’s most popular beaches, particularly amongst youngsters looking for a good beach party. This doesn’t take away from the beach’s attraction though, as it offers a secluded stretch of sand surrounded by large rocks, creating a very intimate atmosphere. Of course, if you looking for a quiet, romantic escape then you might be disappointed as the youngsters tend to take over, particularly at weekends! Another of Gozo’s fantastic beaches, Dwejra Bay is a beach to please them all. The beach sits between the Azure Window and the Inland Sea. 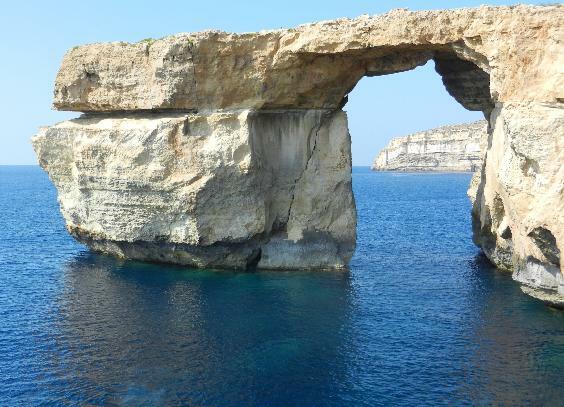 Everyone visiting Malta should take a trip to see the Azure Window, a fantastic rock formation with intimidating size. And having seen that the Inland Sea is a beautiful lagoon to escape to fo a swim and cool off. Given its location in Gozo, this beach allows you to escape the worst of the tourist crowds and see a protected heritage park in all its glory. 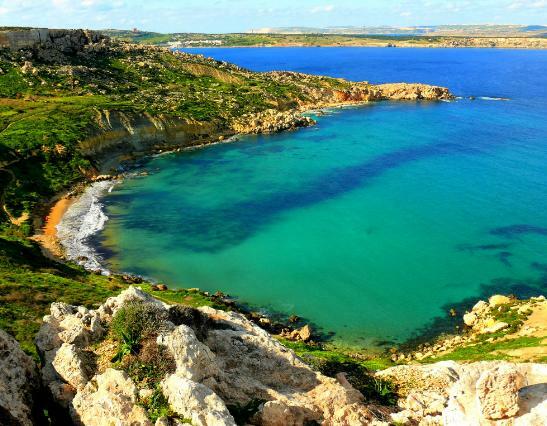 So there you have it, in our opinion these are the very best beaches in Malta. If you know of any secret bays or enchanting coves that you think we’ve missed off then let us know in the comments!